Rapid processing of remnant materials. Precision cutting up to a 6” thickness. Position tolerances of ±.005” on every cut. Short backguage length is perfect for small jobs. 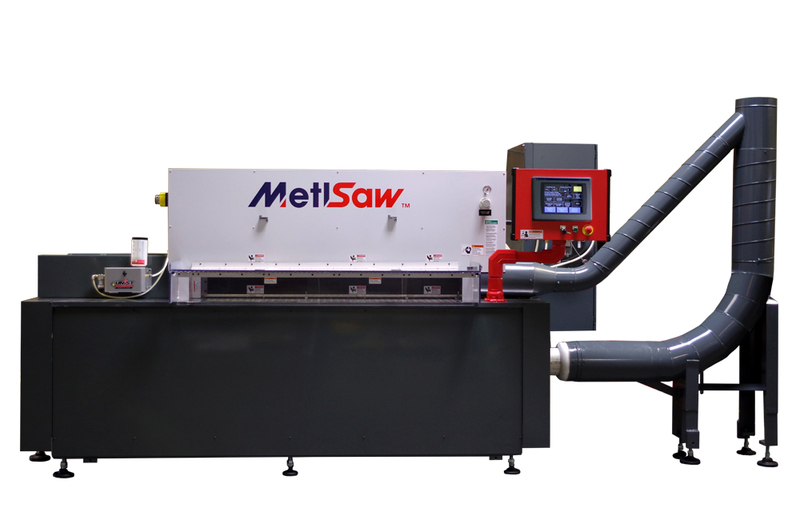 MetlSaw’s R Series was developed and built to improve productivity when processing remnant materials. Using specialized equipment for small jobs delivers much greater operational efficiencies than cutting small jobs on a large plate saw. Set-up time is reduced and a uniquely-designed solid clamping system works perfectly on even the smallest remnants, without losing time on manual adjustments. 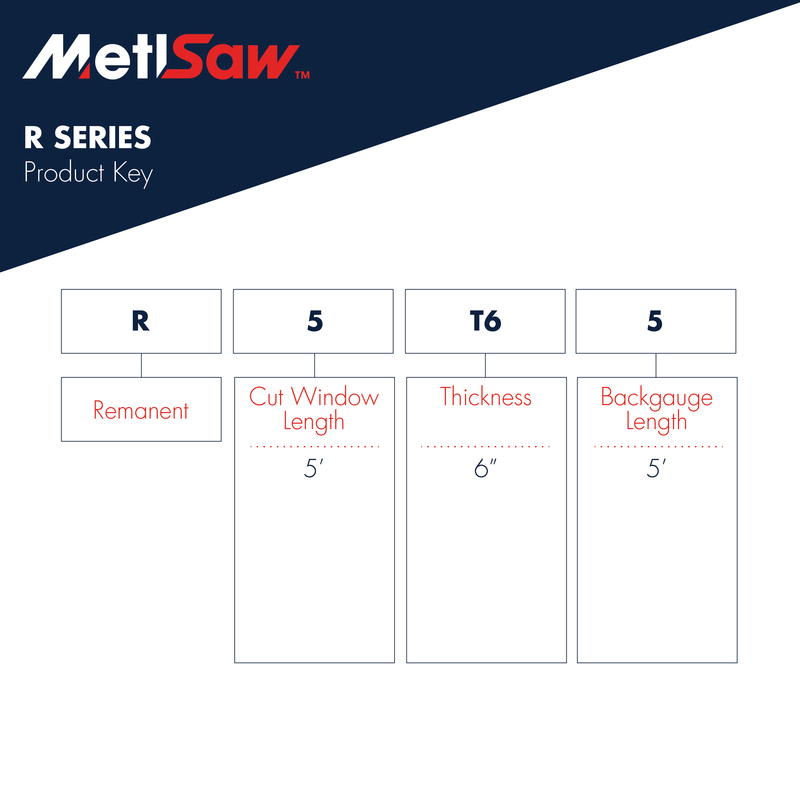 The R Series machines utilize the same automated control system and software as the large plate saws, making it easy for an operator to quickly transition between machines and to cut small jobs quickly for faster deliveries. The system loads jobs fast, and retains memory of up to 1000 individual product specifications. Supports surface finishes to 8 micro-inch. Uses clamping system designed specifically for small jobs. Position tolerances to ± .005” or .12mm delivers high level of cutting accuracy. Carriage cutting speed to 500”/min. Material increment speed up to 250”/min. Backgauge reverse speed up to 250”/min. Retains specs for up to 1000 parts.